« National Library Week – Tell us what eBook you are reading today. 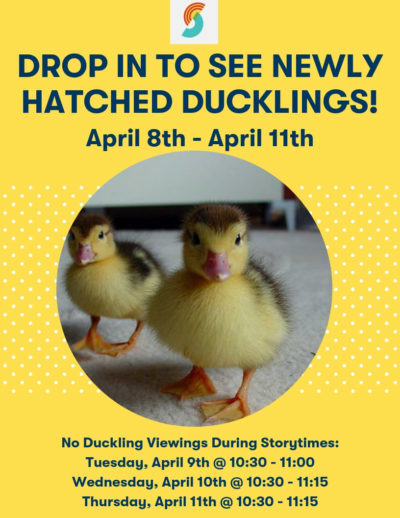 Drop in to see some newly hatched ducklings! 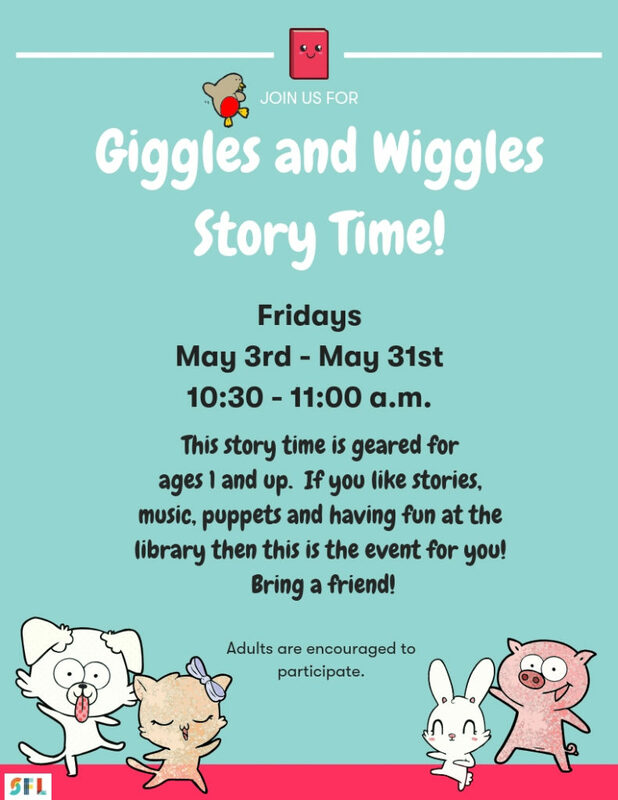 Please note: No duckling viewings during Storytimes: Tuesday, April 9th @ 10:30- 11:00, Wednesday April 10th @ 10:30 – 11:15, and Thursday, April 11th @ 10:30 – 11:15.